At only 19kg it’s a high performance industrial vacuum cleaner with H13 filtration that maintains suction with fine dust. You can enjoy the reliability and simplicity of a cyclonic vacuum system built for managing even the most difficult waste from your production processes. 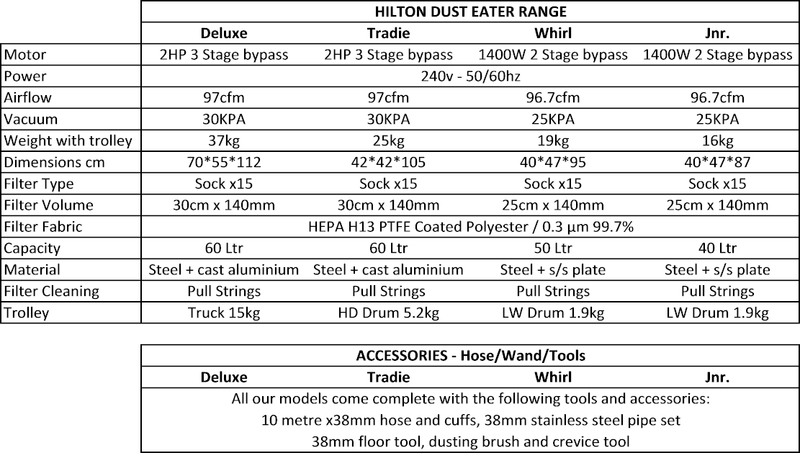 Changes from the Standard Hilton Dust Eater include removing the heavy but solid aluminium filter casting and introducing a low weight stainless steel filter plate and new inlet in the drum itself. 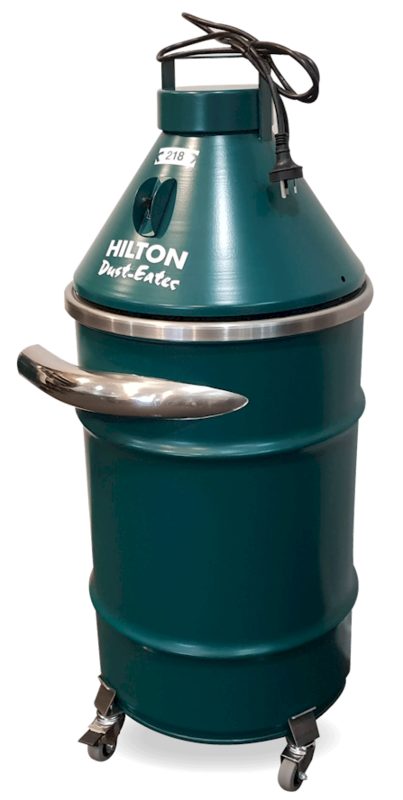 Built for general cleaning duties where less continuous use is involved his smaller and lighter version of the Hilton Dust Eater maintains the same efficiencies but with a smaller capacity, a smaller motor and a lighter weight trolley.